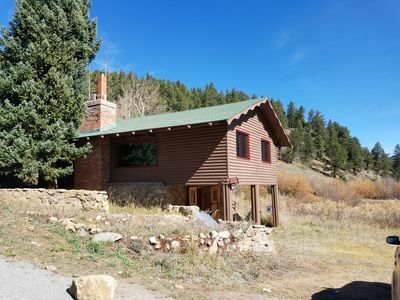 NEW-Cabin on Clear Creek! 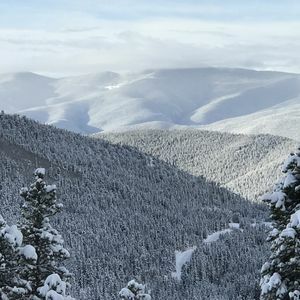 Eldora skiing & more! 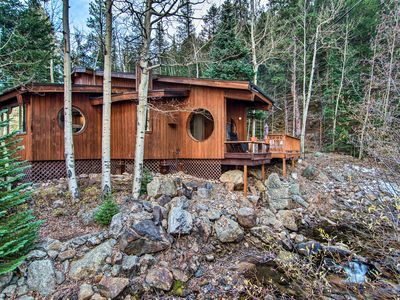 This cozy cabin is designed by a local architect - offering a truly unique home-away-from-home situated directly on Clear Creek. 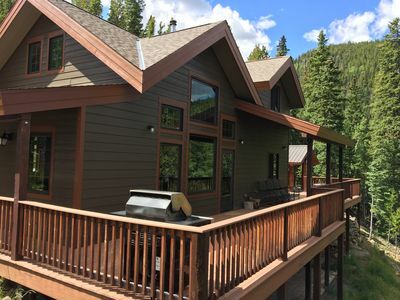 The home features several decks, perfect for enjoying the view and fresh air! 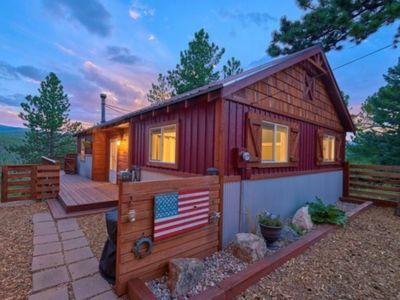 Up to 5 guests will feel right at home at this 2-bedroom, 1-bath vacation rental cabin with over 1,110 square feet of living space. 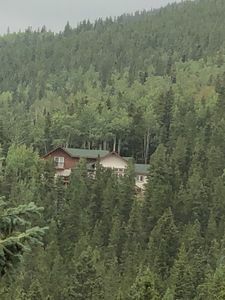 Located just 10 minutes from Black Hawk, 40 minutes from Eldora Resort, and a short drive to both Nederland and Idaho Springs, you'll enjoy endless adventures! 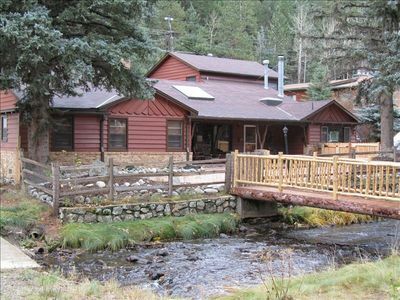 You'll fall in love with this hideaway the moment you arrive and cross the covered bridge over the river. The circular design of the cabin is similar to the Hobbit-like homes of "The Shire" - providing a peaceful setting tucked up into the mountains with multiple decks to enjoy the river views. 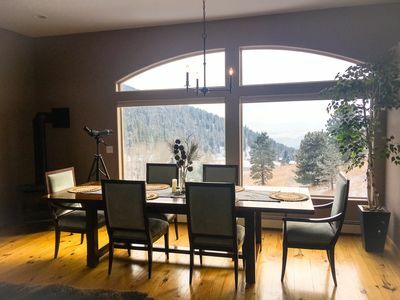 Look forward to spending downtime in the living room before dinner or after a day on the slopes at Eldora. The flat-screen TV is equipped with Netflix to stream your favorite shows and movies! 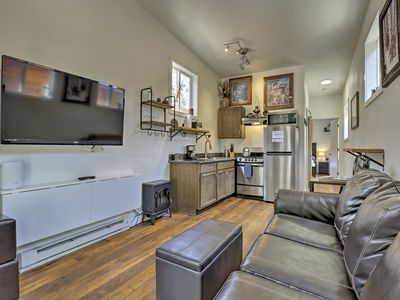 Head into the fully equipped kitchen when appetites kick in. You'll find all the necessary appliances and spices you need to whip up a home-cooked meal. Choose to dine at either table for 4, or bring your meal out onto the deck. 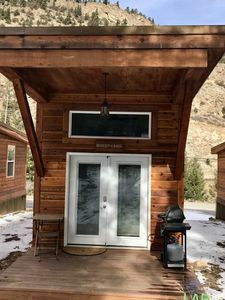 A fenced-in private courtyard between the main cabin and the cottage is a great place to gather with friends and family to grill up your favorite meals to share. As bedtime approaches, choose from one of 2 well-appointed bedrooms, each offering a cozy queen-sized bed. The loft provides additional space for sleeping (1 twin air mattress provided) or an ideal room for kids to play. 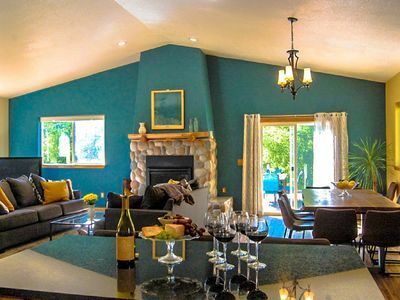 Guests will love the variety of activities and adventures surrounding this Black Hawk home! Whether you're here to gamble, ski, or sip local brews, you're in for a memorable trip. 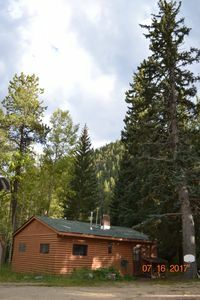 The cabin is just 4 miles to Black Hawk - where you'll find several casinos to satisfy your gambling fix for the trip. 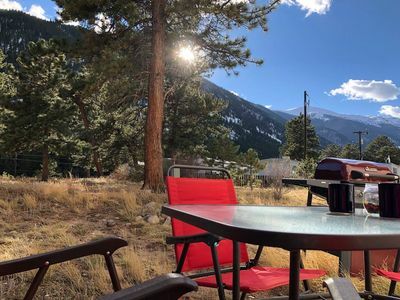 If you are here to ski, Eldora Mountain Resort is only 23 miles away, and the town of Nederland offers excellent hikes, local attractions and a taste of mountain living. 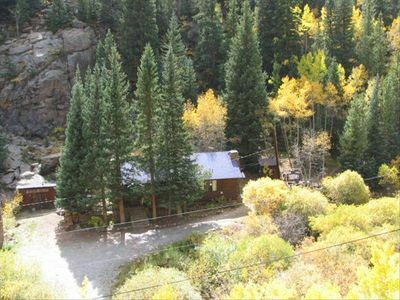 Visit Idaho Springs - a popular family-friendly town to visit year-round, just 16 miles from the cabin. You'll find unique local shops, restaurants and breweries for a refreshing brew to end the day. 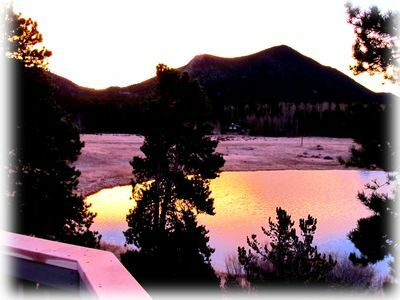 In addition to skiing and hiking, there is a private fishing lake just 2 miles from the cabin. Bring your own poles and you can even fish right off the deck! 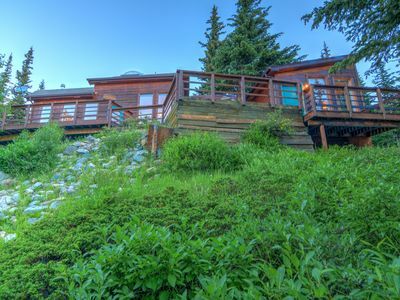 Private Mountain Home, Breathtaking Views, Relaxation and Adventure all in one! The Alice in Winterland Cabin! 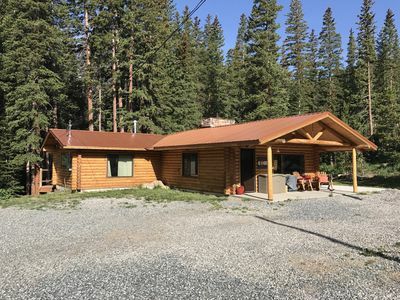 Remodeled Log Cabin On The Creek! 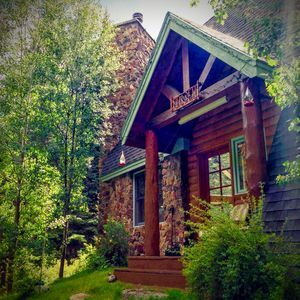 Experience the Best of Colorado from your Rustic Creekside Cabin! 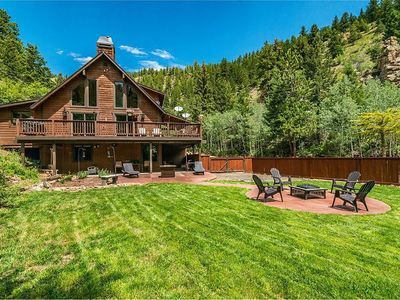 Private Cabin tucked away in Rocky Mountains! A piece of heaven in the mountains. NEW! 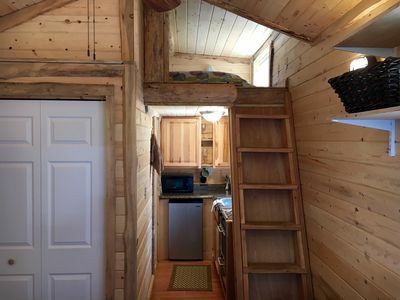 Lawson Upscale Tiny Home on Adventure Park!